AFS is a world class facility featuring twelve 25 yard Pistol / Rifle lanes and eight 10 yard pistol lanes. Each range is climate controlled and well lit with a state of the art exhaust system that give you the best possible conditions for shooting. No more waiting around... AFS Members can reserve lanes online here. Discover special sales & promotions at AFS every month. Click here now! The Basic Firearms Safety course focuses on laws, firearm safety and other firearm fundementals. This course is also a required course for Massachusetts Permits Class A, Class B, or FID card. This is a great course for anyone that has never fired a hand gun. 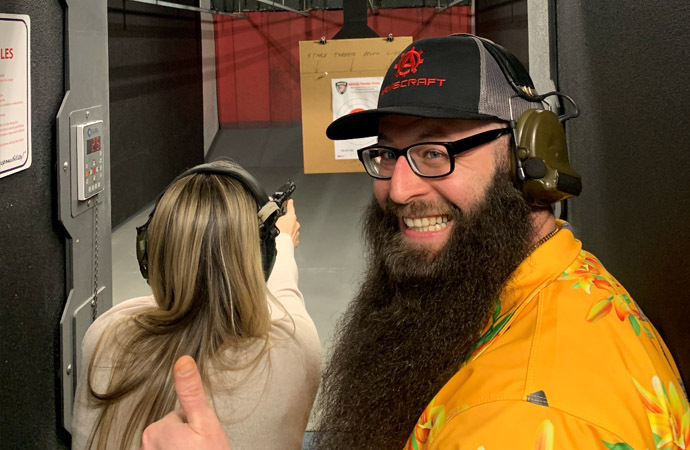 The Learn to Shoot program features a handgun rental, range time, ammo, targets and an instructor to show you how to properly handle the fire arm. THINK YOU'RE THE BEST SHOT AT AMERICAN FIREARMS? Participants must have a government issued photo ID such as a U.S. Drivers license, Military ID, Passport or License to carry firearms with a photo. Participants must be 18 to rent rifles and 21 to rent handguns. All participants must have a firearms license and have a handgun of their own with them, or have someone shooting with them in order to rent a handgun. All participants must have a firearms license and either a handgun or a long gun of their own with them or have someone shooting with them in order to rent a long gun. 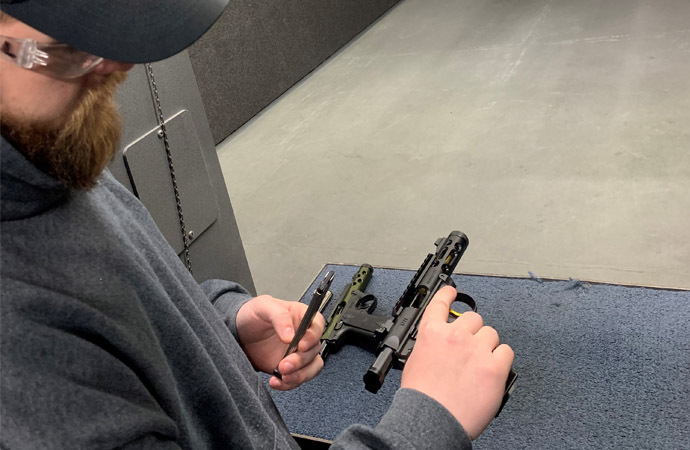 For liability reasons; no professional firearms instruction is allowed by any outside firearms instructors without written permission from the owners of AFS. Women who are nursing, pregnant or may become pregnant are prohibited from entering the range. For everyone's safety, AFS reserves the right to refuse access to the range if it is believed that someone may be under the influence of drugs or alcohol. All participants must complete a release of liability form; you can complete the online form here. All firearms brought into the facility must be unloaded and in a bag, case or holster. All firearms must be cleared on the range prior to removal from any bag, case or holster. Always point firearm's in a safe direction. All actions must be open at all time unless firearm is in a holster or when firing. Shooters and guests must check in at the front counter. If unable to clear a malfunction keep firearm pointed down range and notify an AFS staff member. Taking of photographs or video in the facility is prohibited. All shotgun ammunition fired must be 8 or 9 pellet, 00 Buck or slug. All Firing must be aimed; firing from the hip is strictly prohibited. Questions about AFS Range Rules & Policies?